Watch the sun go down over the historical peninsula of Istanbul: Hagia Sophia and the Blue Mosque. Words are not enough to describe this unique experience. Sailing is a very unique and special experience all around the world. 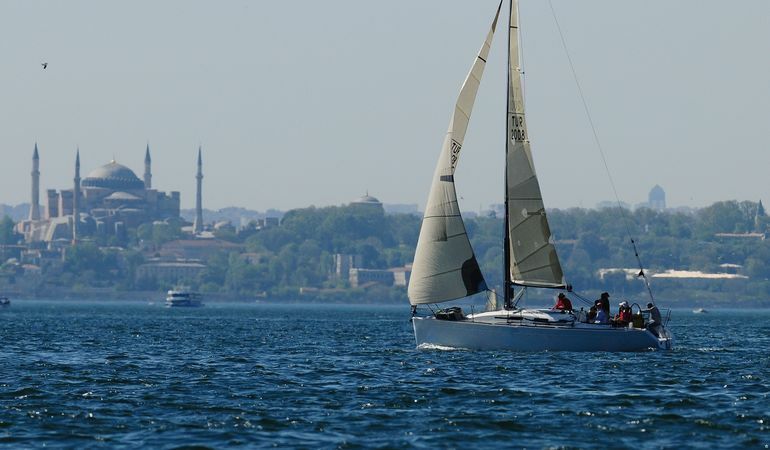 However when it comes to sailing in Istanbul, it’s even better! We depart from Kalamış Marina which is located on the Asian side of Istanbul. 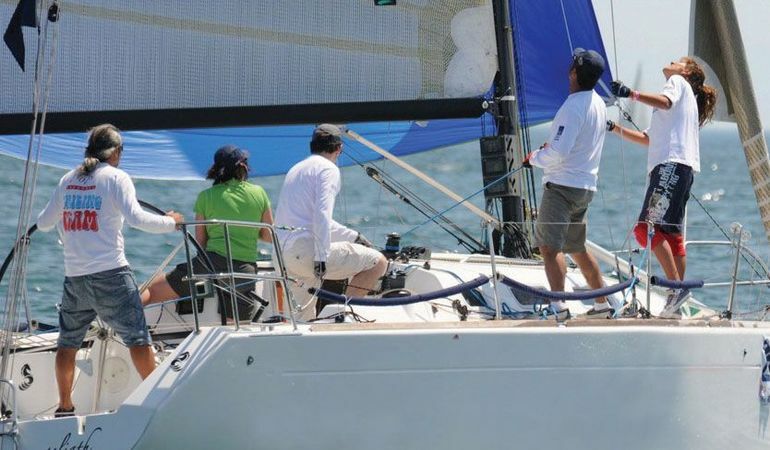 Before you sail, the professional skipper will brief you on the basics of sailing and the sea. Normally the tour starts is either between 9am-1pm or 2pm-6pm. You don't have be a professional or an expert to sail on our boats! 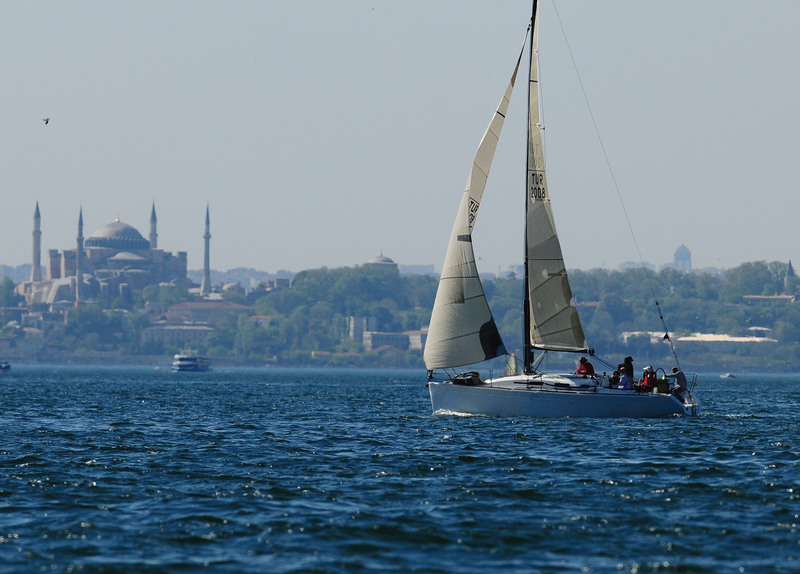 Having the fundamental information on sailing you can sit back, relax and enjoy the beauty of Istanbul from water. If your answer is Yes! I`AM! 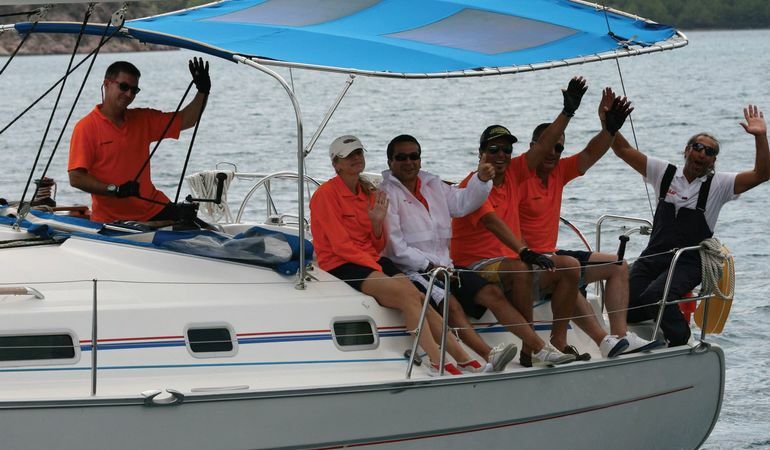 than you are welcome to take action and sail with the leadership of a local expert. Starting from Kalamış Marina we sail towards the Prince’s Islands. There are nine islands –very close to each other. Your local guide will introduce you the islands as you stroll through them. You will have amazing photo opportunities in this tour. Make sure to bring your camera, we will sail by the most picturesque parts of Istanbul. Sailing along the Marmara sea. Hagia Sophia Museum on the back. If you choose the sunset tour (2pm-6pm session) you get the chance to enjoy an amazing sunset at Istanbul. Watch the sun go down over the historical peninsula of Istanbul: Hagia Sophia and the Blue Mosque. This is definitely a great leisure Istanbul experience. Note: The price quoted above, $400, is for half-day. 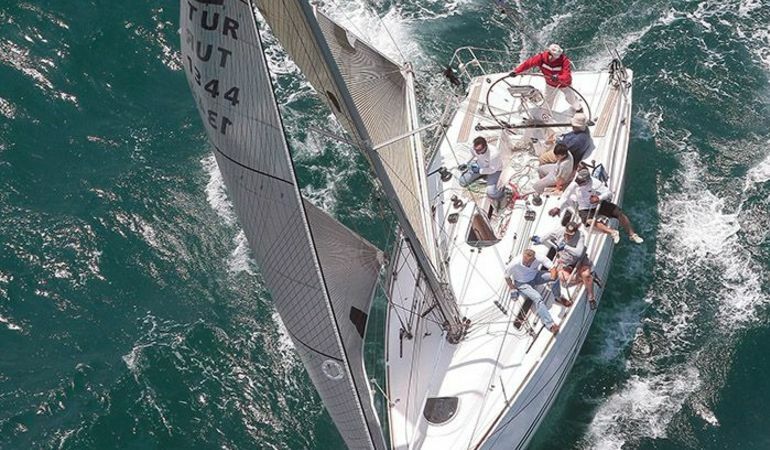 Full-day sailing tour is $600. 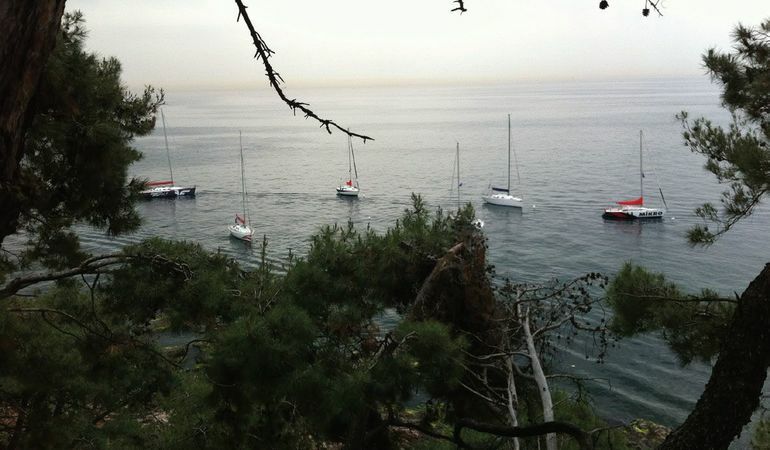 The sailing boats can have up to seven (7) people.